Back in Chicago, I freelance at Adelstein Liston, Grand and Noble Productions, Backstar Creative, Fooditude Media, Resolution Digital Studios, Richter Studios, Bitter Jester Creative, Mixed Media, Intention Design, and Picture Show. I am teach video production and postproduction classes at Tribeca Flashpoint Academy. I am always looking to expand my freelance client list. There are so many amazing stories to craft here in Chicago! Digital Planet is a week-long film workshop for teens held at the Field Museum and sponsored by Pearson Foundation‘s New Learning Institute. In this workshop, teens meet with a scientist who is an expert in their field to discuss a given scientific topic. This year, students produced videos on based upon Dr. Janet Voight’s deep sea dives dives in the submersible “Alvin” and the creatures she discovered at the bottom of the ocean. Students planed, filmed, and edited a series of videos on this topic. I was brought in to teach basic filmmaking skills and provide creative guidance throughout their filmmaking process. Check out the student’s excellent work! An event recap for Ravinia’s launch of the Circle Rockets youth orchestra at the Circle Rock charter school on Chicago’s West Side. Shot and produced by Dan and Nic at Bitter Jester Creative. This video was produced and shot by the talented team at Bitter Jester Creative and edited by myself. It is intended to draw interest and participation from potential new members to the Ethical Humanist Society of Chicago. Digital Planet is a week-long film workshop for teens held at the Field Museum and sponsored by Pearson Foundation‘s New Learning Institute. 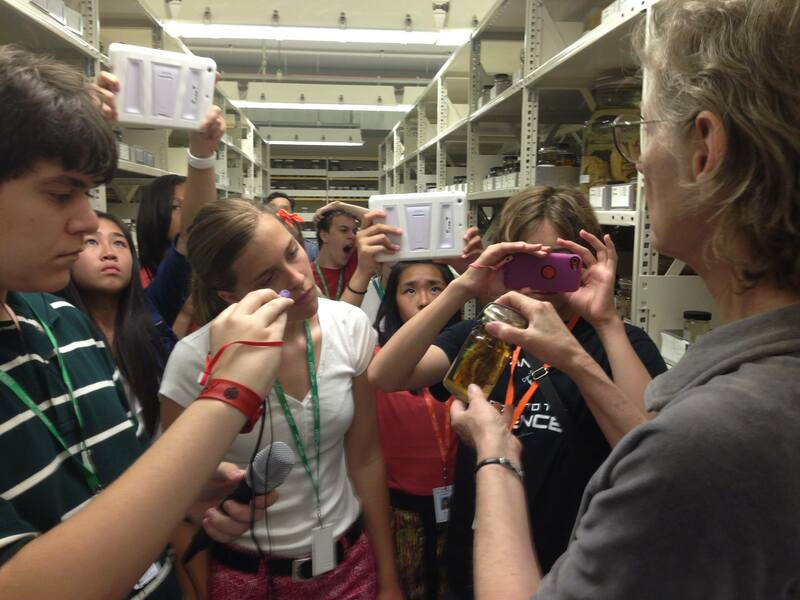 In this workshop, teens meet with a scientist who is an expert in their field to discuss a given scientific topic. This year, students produced videos on based upon the Field Museum’s recent CT scanning of ancient Egyptian Mummies. Students planed, filmed, and edited a series of videos on this topic. I was brought in to teach basic filmmaking skills and provide creative guidance throughout their filmmaking process. This series of B2B videos was produced and conceived by Phil Wnuk at RPD Advertising, filmed by Bitter Jester Creative, and edited by myself. They highlight the unique advantages of Waukegan-based point-of-purchase display producer Design Phase: their product development process, their innovation, and their commitment to manufacturing their products locally. For this video, I was hired by the property owner at 1513 N Wells, Marty Fiascone, to produce, write, and edit a short video highlighting the neighborhood and unique features of the property to attract commercial tenants. Cinematography was provided by the very talented Daniel Kullman at Bitter Jester Creative. The renderings used in the video were created by Sarfatty Associates. For more information on the property, contact Anthony Campagni at RKF. Federal Signal hired Richter Studios to produce a marketing video for their multi-camera police car monitoring system, and I was brought in to edit. Five Star is the established leader for fabricating car bodies, windows, and parts for NASCAR and the racing industry. Five Star is expanding into new markets by leveraging their expertise in the demanding racecar business. To help communicate this message, they hired Richter Studios to produce a video series for an upcoming trade show. The production team at Richter combined Red, 5D, and GoPro cameras for diverse and beautiful cinematography. I was brought on to edit a style that was edgy, energetic, and captured the excitement of racing. In September 2011, I began teaching as an adjunct instructor in the Broadcast department at Tribeca Flashpoint Academy. Students participate in an intensive, two-year associates degree program that incorporates field production, studio production, and video editing. The program is hands-on, with students operating camera, lights, editing software, and dealing with production planning from the very start of the semester. I presently teach a TV studio production class and an Avid postproduction class. All of the faculty are experienced professionals, and many are adjuncts who are presently working in the industry. After having taught elsewhere, and from my own college experience, I think Flashpoint offers a truly wonderful program. Students aren’t learning from academics, but from professionals who know what it takes to survive. The facilities are top notch, and expectations are very high. For their final TV studio projects, the students produce a fifteen minute show that includes an interview, a how-to segment, and a musical performance. All material is shot by the students in a mutlicamera studio environment, with live switching and no post work. Students are responsible for coming up with a show theme, finding guests, developing the concept, and creating all graphics. Below are a couple of final projects from last semester. Remember, these students had absolutely no production experience whatsoever before the semester began. I am very proud of their work!